Mary Morrison is a sessional lecturer of Voice in the Faculty of Music at the University of Toronto where she has supervised the vocal studies of many young singers who are among today's emerging stars of opera and the concert stage. A partial list of her many successes include: Valdine Anderson, Nancy Argenta, Kathleen Brett, Ingrid Attrot, Measha Brüggergosman, Gregory Dahl, Tracy Dahl, Gordon Gietz, Barbara Hannigan, Shannon Mercer, Wendy Nielsen, Adrienne Pieczonka and John Tessier. These students attest to Ms. Morrison's deft touch in the development of young voices, which continues today. In 2015, Ms. Morrison was appointed a Fellow of the Royal Conservatory of Music Toronto (F.R.C.M.T). This was only the latest of the many honours she has received in recognition of her outstanding contribution to Canadian music. In 2012, she was awarded a Queen Elizabeth Diamond Jubilee Medal. 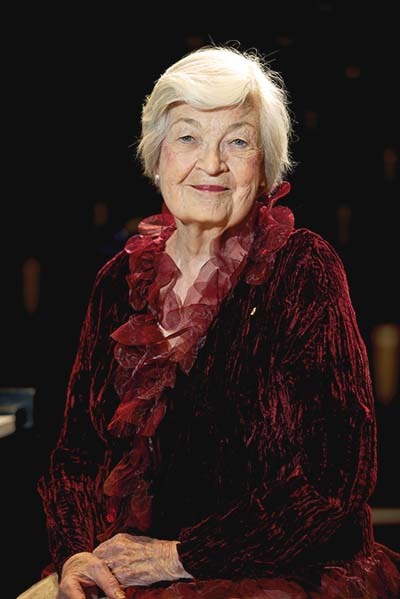 In 2002, at the 3rd annual Opera Canada "Rubies" Gala, guest presenter Marilyn Home presented Ms. Morrison with the Opera Educator award for her outstanding achievements in the world of vocal pedagogy. In 1992, she received the Queen Elizabeth Commemorative Medal. In 1985, Ms. Morrison was given a Medal of Service from the City of Toronto and in 1983 she was appointed an Officer of the Order of Canada. 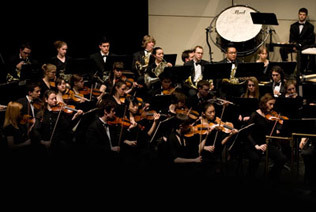 Ms. Morrison has had a long and distinguished performing career, which included principal operatic roles with the Canadian Opera Company and the CBC Opera Company, solo symphony appearances with the New York Philharmonic, the San Francisco Symphony, and the symphony orchestras of Montreal, Toronto, and Winnipeg. In addition, she was heard in many solo recitals, chamber music concerts and recordings, often appearing as part of the Lyric Arts Trio with flautist, Robert Aitken and pianist, Marion Ross. She was also featured at prestigious international music festivals throughout Canada, Europe, Iceland, Japan, Scandinavia and the U.S.A.
A pioneer of contemporary music performances and recordings, Ms. Morrison worked with some of the world’s most renowned and prolific international composers of the 20th Century including Luciano Berio, John Cage, George Crumb, Maxwell Davies, György Ligeti, Krzysztof Penderecki, Igor Stravinsky, Toru Takemitsu and Iannis Xenakis. She was also a champion of Canadian vocal works; many of which were written specifically for her, by John Beckwith, Murray Schafer, Harry Somers, John Weinzweig and her late husband, Harry Freedman. In recognition for her work, Ms. Morrison was awarded the Canadian Music Citation for Outstanding Achievement in the Performance of Canadian Music in 1968. For over 30 years years, Mary Morrison has taught voice at Universities across Canada as well as at the Atelier lyrique de l’Opéra de Montréal, the Banff Centre for the Arts, Centre d’Arts Orford, Queen of Puddings Music Theatre, the Toronto Summer Music Academy and Festival, the Britten-Pears School for Advanced Musical Studies in Aldeburgh, England and most notably, at the University of Toronto. Mary Morrison’s stellar contribution to Canadian music is a testament to her extraordinary life and legacy as both a prodigious singer and treasured teacher to her students; appearing on opera and concert stages all over the world.